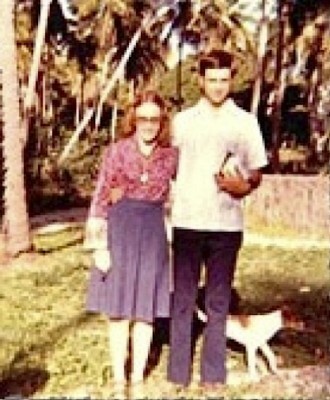 Barbara Watson and her husband, Ralph, just before they left the Dominican Republic in 1978, where they had served as missionaries for four years. For more information about missionary life in the Dominican Republic, or to read Chapter One or see pictures, visit Wake Up Barbara. Copies of the book may be purchased at Buy Books on the Web or by calling 1-877-BUY BOOK, and at Amazon and Barnes & Noble. You might wonder how two boxes of faded yellow letters led to a memoir on the Dominican Republic, but for author Barbara Watson it was easy. Easy, that is, once she decided to open them. “The title is supposed to convey that the book is fun, that the protagonist gets through some situations that were frightening to her at the time, but funny or meaningful in retrospect,” Barbara says. Newly married, Barbara and her adventurous Ralph moved to the Dominican Republic in the early 1970s at the urging of Dr. Tony Campolo, Barbara’s sociology professor at Eastern College in St. Davids, Penn. As part of a medical mission, Barbara would help fill prescriptions for eyeglasses from the used eyeglass collection and Ralph would work as a repairman. While Ralph embraced the place, the people, the culture and the music, Barbara battled the language, heat, and ran in terror from two-inch cockroaches. To deliver services needed, Barbara found herself traveling up and down a dangerous mountain to Azua, where the cliff-side roads and hairpin curves were marked with crosses every few feet. Auto supplies were scarce for the medical caravans, with parts often configured from variable kitchen utensils. When tires got too thin, the insides were padded with newspapers to protect the inner tube. Over-ripe bananas provided the axle grease. The book is written in letter format and came from original documents. Barbara says she wrote the book, in part, to educate people about the Third World and give them ideas about how they can help, like saving their used eyeglasses. All over the U.S. and Canada, Lions Clubs and churches collect used eyeglasses and send them to Third World countries. Twice a year, Barbara says, they would hold a two-week eye project where Dominicans from all over the country would travel by foot, donkey, or publico (taxi) to the project. Ophthalmologists would perform eye surgeries and opticians would fit the glasses. Thousands were given away during each project, which took six months to prepare. Relationships also play a central role in the book, with Barbara’s relationship with Ralph at the center and a sub-plot of Watson’s friendship with Sue, her best friend from Texas. Many of the letters were written to Sue. 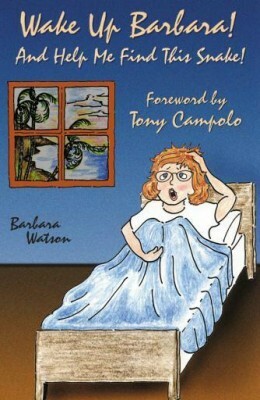 Of the journey and revelations it laid bare, Barbara admits she struggled to find her own place. “I needed to be able to contribute in life and not just be along for the ride,” she says. For a young person, Barbara says it was the most eye-opening experience she could imagine. Tagged with: Barbara Watson • Wake up Barbara and Help Me Find this Snake!